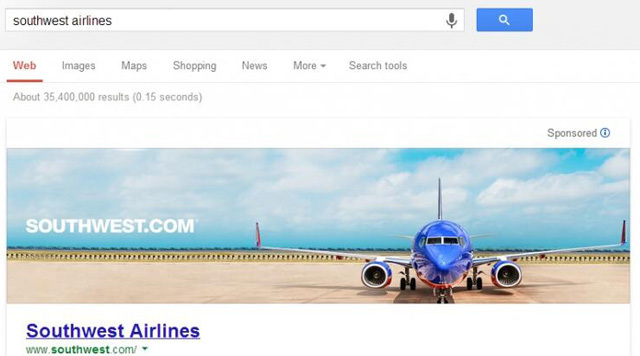 Remember last October when Google was testing huge banner ads in the search results for navigational-like queries? Well, that was just a test and Google's head of search, Amit Singhal said it isn't going to go live. Amit Singhal told. Danny Sullivan at SMX West Tuesday night that the test you saw will not go live, at least not any time soon. He made it sound like the test was a failure and they decided to not let it go live. But he didn't completely scratch the possibility of it ever being tested again. In short, you likely won't see these types of ads on Google any time in the near/short term future.